in ベッド. . HD Wallpaper and background images in the Damon & Elena club tagged: the vampire diaries delena damon salvatore elena gilbert. 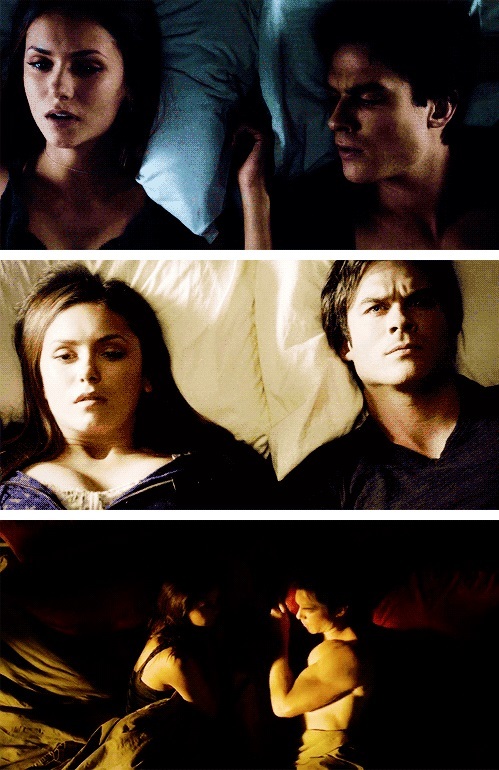 This Damon & Elena photo might contain 肖像画, ヘッドショット, クローズアップ, ポートレート, ヘッド ショット, and クローズ アップ.